Mustang, an American icon and race winner in North America, will take on the world’s best on a broader scale at some of the most historic race tracks in the world. Ford Racing has appointed Matech Concepts as the exclusive distributor of FIA homologated competition Mustangs, specifically the FR500GT3 and FR500GT4, in Europe and the Commonwealth of Independent States (CIS). Based on the FR500GT and FR500C, the cars have been renamed to reflect the series they will compete in, namely the FIA GT3 European Championship and the GT4 European Cup. "We are thrilled at the potential of the entire European Mustang performance business and this relationship with Matech," said Dan Davis, director Ford Racing Technology. "To have a competitive team like Matech, which won the fourth race of this year’s GT3 season, run Ford-powered icons such as the Mustang and GT is an incredible opportunity for us." In addition to fielding its successful GT program, Matech will also purchase and campaign Mustang FR500GT3’s and provide the necessary customer support for all FR500 Mustangs sold for FIA competition in Europe and CIS. "We are excited to join Ford Racing in expanding the reach and appeal of America's muscle car into the highest level of GT competition," said Martin Bartek, CEO of Matech Concepts. "The addition of FR500-based race Mustangs to our existing Ford GT program will make for a strong Ford-powered line-up in the coming season." This commercial relationship provides Ford Racing with the opportunity to grow its Mustang race car business in Europe and showcase its family of Ford Racing 5.0L Cammer engines supplied from Roush-Yates Racing Engines. Ford Racing’s cammer engines have a history of success, winning the 2005 Grand-Am Cup team, driver and manufacturer championships, the 2006 Rolex Sports Car Series driver championship and the second race of the inaugural GT4 European Cup championship earlier this year. 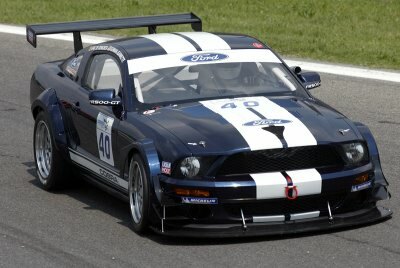 Long-time Ford Racing partner Multimatic Motorsports of Toronto, Canada, homologated both the Mustang FR500GT3 and FR500GT4 for FIA competition earlier this year and will maintain its current role as sole interface with the FIA, homologating all Ford Racing programs in the USA and Europe. 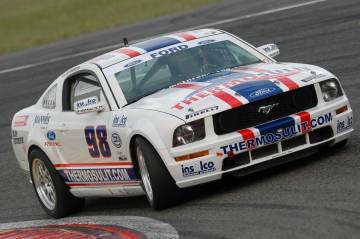 The Mustang racing programs in Europe are strictly customer-based programs, initiated by U.S.-based Ford Racing as an extension of its performance parts program. Ford Racing Technology, based in Dearborn, Mich., is responsible for major racing operations in North America, including NASCAR (Nextel Cup, Busch Series, Craftsman Truck), Grand American sports car racing, NHRA drag racing and USAC midget car racing. Limitiertes Editionsmodell Ford Fiesta "Black Magic"
The new BMW 1 Series Convertible. BMW ermöglicht Fahrern mit Behinderung maximale Mobilität auf Premium-Niveau. Volkswagen -Das neue Sondermodell Fox „Fresh"
BMW X5 gewinnt den "autonis" 2007 für das attraktivste Design. Messeturm mit MINI Clubman – riesige Projektionen über Frankfurt.